The early Hawaiians had lived undisturbed by outsiders for hundreds of years, the Islands themselves uncharted. But in the late 1700s, European explorers were attempting to find a passage between the Atlantic and Pacific Oceans. With all the expeditions going on in the Pacific, it was only a matter of time before one of them found Hawaii. The credit for the'discovery' goes to a British navigator by the name of Captain James Cook. Cook had explored the South Pacific for years, and had even taken on an expert Tahitian navigator named Tupaia. He had learned the Tahitian language and much about Polynesian culture. On Cook's third voyage to the South Pacific in 1777, he stumbled upon the Hawaiian Islands. With trade winds blowing hard from the northeast, he found it impossible to land until he reached Kauai. Hawaiians paddled out to meet his incoming ship, giving him a warm welcome. His knowledge of Tahitian made communicating with them easy, since their language was very similar. Cook and his crew needed fresh provisions, and the Hawaiians were interested in trading for iron pieces. Apparently they had seen iron before, leading to speculation that other explorers had been to Hawaii previously, but their visits went undocumented. Trading between Cook and the Hawaiians commenced. Of course, after a long time at sea, Cook's sailors were eager to go ashore. Cook had more respect for indigenous cultures than most of his contemporaries, and he knew that many of his crewmen were infected with syphilis. He tried to keep his men on board, but his attempt failed and a new disease was introduced to the islands. Iron pieces began to go missing from the ship, and the thefts increased every day. Finally, Cook decided it was time to leave and resume the search for the northwest passage. As they sailed off, he charted the islands on a map. Within the year, Cook sailed back to Hawaii. This time he arrived in Kealakekua Bay, on the big island of Hawaii. The way he arrived fulfilled several predictions of a kahuna's prophesy about the impending return of the god Lono. Specifically, these were his arrival time, direction, and manner. Cook arrived during the annual makahiki festival, which paid tribute to Lono. He also approached from the south and the billowing sails of his ship were interpreted as the cloud Lono was supposed to arrive on. Because of this, the Hawaiians were overjoyed to see him. Although the captain was surprised at his newly-elevated status, he lost no time taking advantage of it. He took the proffered supplies without offering to trade and permitted his men to leave the ship, fearing that they might mutiny if restrained. Over the next six weeks, his crew and the Hawaiians freely mixed; Cook and his men took much of the area's food and water, and the Hawaiians stole things from his ship. Tensions rose on both sides, so Cook and his crew embarked to the north toward Maui. A powerful storm blew up, damaging the ship and forcing them to return to the bay. This time the Hawaiians weren't happy to see them. Several incidents between the two groups led to Cook storming ashore and attempting to hold hostage the ruling chief, Kalaniopu'u. He failed at this endeavor, though, and the Hawaiians clubbed him to death. One of those who helped strike Cook down was Kamehameha, nephew to Kalaniopu'u. With his lineage and strength as a warrior, Kamehameha was a young ali'i on the rise. At the sight of Cook's bloody death, the rest of his crew retreated. Although Cook's murder put a damper on foreign expeditions to Hawaii for a few years, other British explorers did follow. European and American merchants also realized that Hawaii was the perfect midpoint to Asia, turning Hawaii into a major port for restocking ships. The merchants also convinced the ali'i that owning Western goods such as clothes, furniture, and manufactured items could increase their social status. Kamehameha was among those who embraced these new things, and he also saw the advantages of using foreign technology in battle. When Kalaniopu'u died in 1782, he named his son Kiwala'? his successor, but he also placed Kamehameha in charge of war. Part of Kamehameha's warrior prowess may have been due to his incredible stature – his capes indicate that he stood almost seven feet tall and weighed about three hundred pounds. Because war was how one proved fitness as a leader, Kalaniopu'u's decision was an unusual one, certain to spark conflict with his son. Many of Kamehameha's ali'i defected to Kiwala'?, and they attacked. Although Kiwala'? was killed in battle, with the loss of so many followers, Kamehameha's position wasn't secure. Soon after this, Kamehameha met two Englishmen who taught him how to use guns and cannons. They became trusted friends, and one later served as advisor to him. Kamehameha's goal was to control all the Hawaiian islands, and he set about deposing the other ruling chiefs. He first scored a major victory on his own island, Hawaii. His main rival, Keoua lost half of his warriors in an eruption of Mauna Loa. Kamehameha took this as a sign that Keoua wasn't meant to lead. He built a heiau (temple) to the war god Ku, snatched Keoua, and sacrificed him in the temple. This sacrifice of a high-ranking chief clearly demonstrated his power, creating a loyal following on the island. The ruler of Maui and Oahu, Kahekili, didn't wait for Kamehameha to attack. They faced off in a sea battle, their ships armed with cannons. Their battle was the first to depart from traditional Hawaiian combat in favor of European-style warfare. Neither side won, leaving them in a stalemate. When Kahekili died in 1794, his sons fought amongst themselves for control of Maui and Oahu. With this internal strife, Kamehameha seized the opportunity to gain control. Conquering each son in succession, Kamehameha eventually added Maui and Oahu to his empire. Only Kauai was left. Beginning in 1804, Kamehameha launched two unsuccessful attacks on Kauai. After the second try failed, he signed a peace treaty with Kauai's ruling chief, Kaumauli'i. Kaumauli'i granted Kamehameha control of Kauai, while Kamehameha made Kaumauli'i governor of the island. 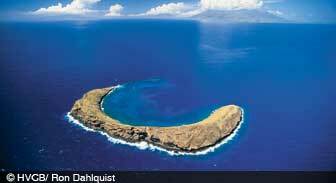 The Hawaiian islands were now unified under one ruler, Kamehameha. To keep the other ali'i happy, he followed what he had done on Kauai, appointing a high-ranking ali'i on each island as its governor. With this unification, there was no need for power struggles among different groups. Peace spread across the islands, and life was good. During Kamehameha's reign, Western contact and influence grew rapidly in Hawaii. His excellent leadership skills enabled him to maintain control and keep things running smoothly, even in a period of such immense change. After his death at age seventy in 1819, political stability and traditional Hawaiian culture went through major upheavals.